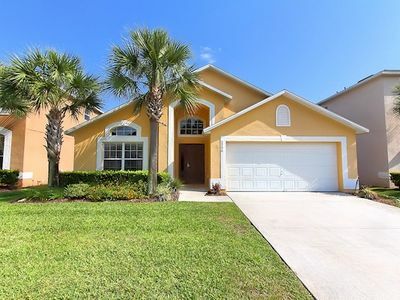 Terrific 5-bedroom/5-bathroom home with upstairs and downstairs King Bedroom suites. 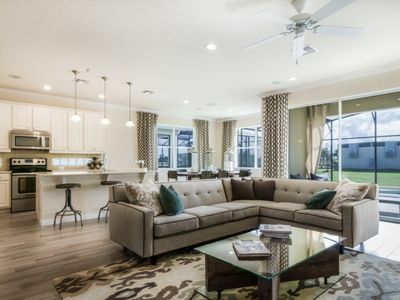 It also has a Queen Bedroom, Twin Bedroom and sleeper sofa on the first floor. 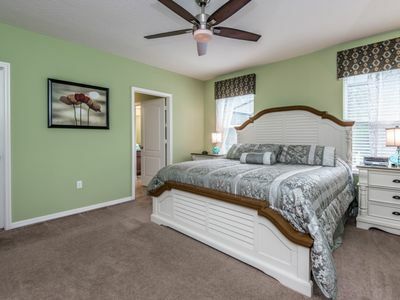 And there is an another Twin Bedroom on second floor making this home ideal for two families and up to 12 guests. 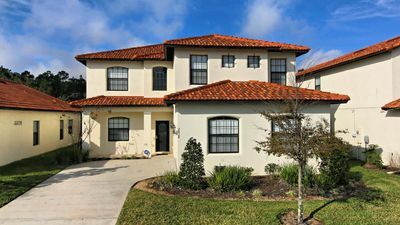 The home is professionally furnished and decorated for comfort with beautiful furniture, relaxing paint colors, and appealing decorations inside and out. 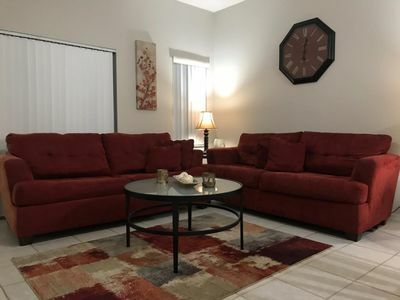 There are 6-flat screen TV''s house ranging from 29'' to 60'' in size and there is High-Speed Internet, Cable TV, and a surround sound system. 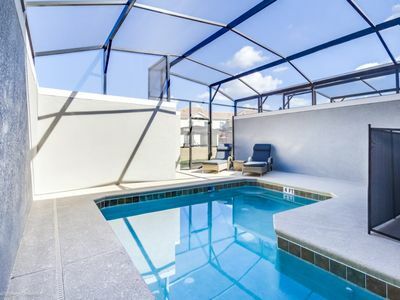 The SOUTH facing pool/ hot tub and private pool deck with privacy screening make this outdoor space special. 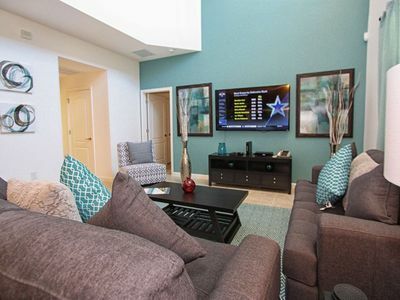 Carpeted game room includes slate pool table, foosball table, 32” TV, Xbox game system, video chairs, extra refrigerator and washer /dryer. 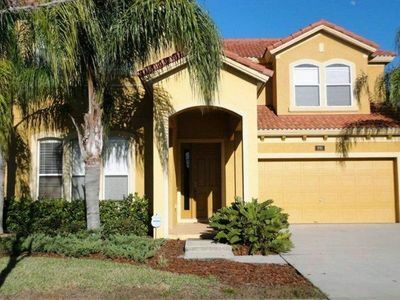 Family friendly home includes cribs, stroller and infant car seat if needed. 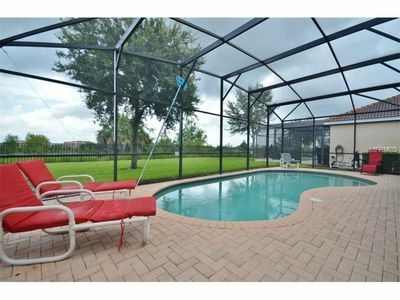 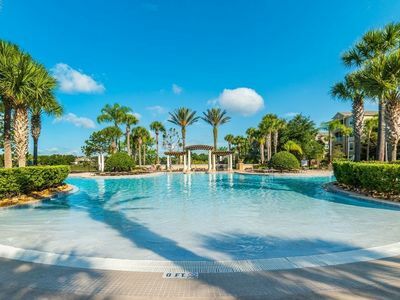 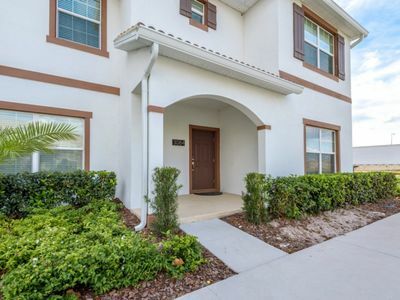 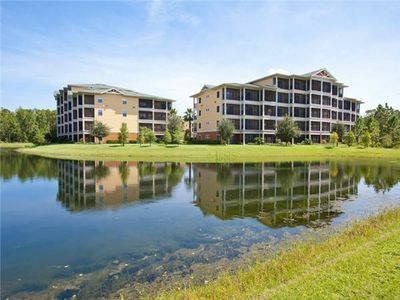 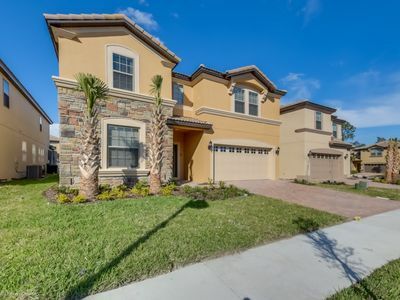 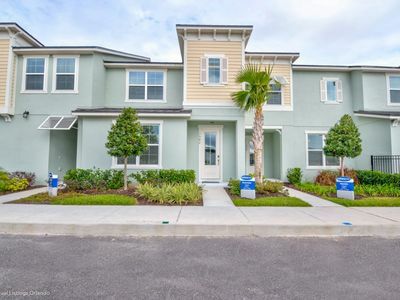 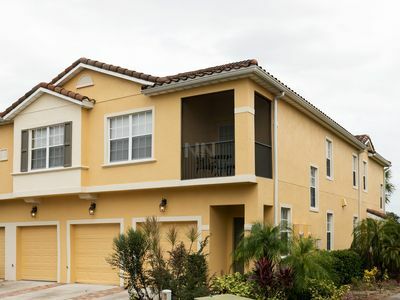 Stay @ Tuscany Villas - a 5 bed family pool home in Kissimmee - close to Disney! 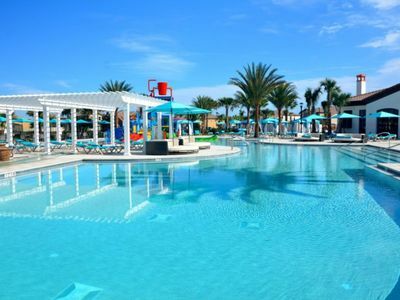 Book Spring Break Now! 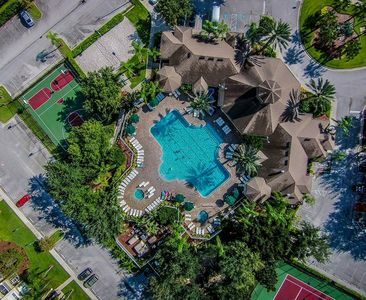 New Club House! 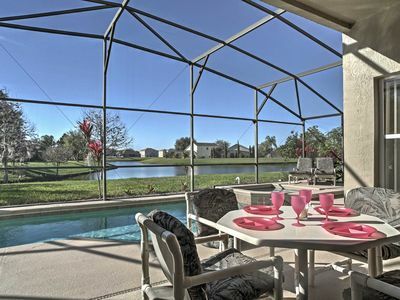 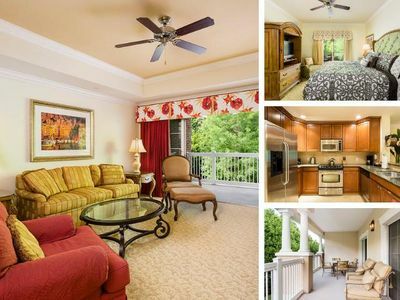 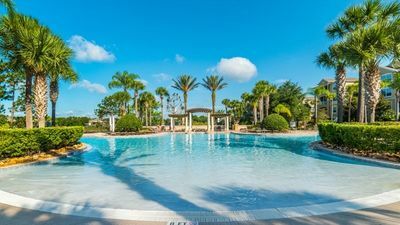 Luxury Veranda Palms Pool Home - Minutes to Disney World!